Before emigrating to Australia in 1987, Shu-Cheen Yu was a principal artist with the Shan-Xi province Beijing Opera Company and The Chinese National Oriental Song and Dance Company. She made regular broadcasts on Radio Beijing and appearances on Television China and made five successful albums. Since 1989, Shu-Cheen Yu has appeared in Chess, as Tuptim in The King and I, as Ninetta in The Thieving Magpie with the University of NSW, in the title role of Purcell’s The Fairy Queen with the Song Company, in The Reluctant Highwayman for Broomhill Opera in London and in many choral works and concerts in Australia, New Zealand, England and Singapore. She has been the recipient of numerous awards, and was the winner of the Australian Regional Finals of the Metropolitan Opera New York Auditions in 1992 and the Shell Royal Opera House Convent Garden Scholarship in 1994. Shu-Cheen Yu became a full-time member of Opera Australia in December 1996 and with this company has sung principal roles in Rigoletto, The Coronation of Poppea and Werther. Concert work has included Samson and Carmina Burana with Sydney Philharmonia, concerts at Government House for Carnivale and the Sydney Youth Orchestra, a recital for the Glebe Festival and the Sydney Morning Herald Forecourt Concert at the Sydney Opera House for Opera Australia. She has also starred in seasons of Mozart by Moonlight at the Royal Botanical Gardens, Sydney. In 2000, she appeared as soloist with the SSO in their Olympic Arts Festival performance of Mahler’s 8th Symphony at the Homebush Superdome. In 2001, she sang the role of Gianetta in Opera Australia’s new production of L’elisir d’Amore; later that year, she appeared as guest soloist with the Sydney Symphony in their Christmas Concert presentations. 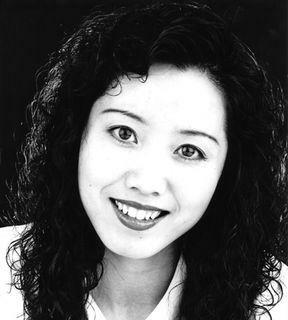 In 2002, Shu-Cheen Yu sang the role of Ännchen and appeared as Barbarina in Opera Australia’s productions of Der Freischütz and The Marriage of Figaro. She also performed in six recitals in Washington, USA, including The Kennedy Center and took on the role of the Virgin Mary in Peter Sellars’ production of El Nino for the Adelaide Festival and performed at Channel 7’s Carols By Candlelight. In 2003, Shu-Cheen sang the lead role of Judo for Chamber Made Opera’s Melbourne production Possessed for which she was nominated for both the Green Room and Helpmann Awards, and Papagena in Melbourne Opera’s production of The Magic Flute. She also performed as soloist with the Sydney Youth Orchestra, the Willoughby Symphony Orchestra, the MSO Chamber Ensemble, at the inaugural Festival of the Voice in Newcastle and as soloist in Carols by the Cauldron at Sydney Olympic Park. 2004 saw her appear as the Woodbird in State Opera of South Australia’s performances of Wagner’s Ring Cycle (recorded and subsequently released by Melba Recordings), as soloist for The Queensland Orchestra, perform with the Melbourne Bach Players, Collegium Musicum Choir at the University of NSW, the Beethoven Society and numerous corporate events. In 2007, she appeared as Madama Butterfly in a special version of the opera for Parramatta Riverside Theatres.